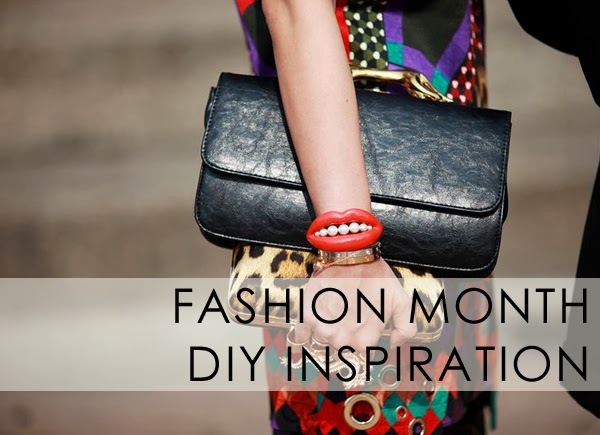 Here are nearly 30 DIY ideas from London, Milan and Paris fashion week spring 2014 collections plus a few stragglers from New York Fashion Week. Add fur to any accessory, a la Fendi. Or take any large metal object and make it into a belt buckle. 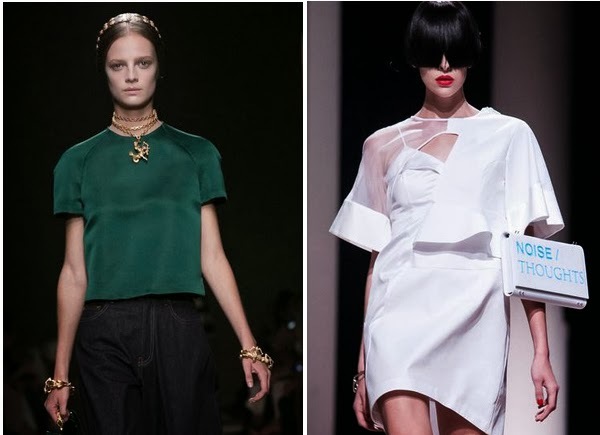 Embellish a cuff with oversized rhinestones or make a perforated clutch. 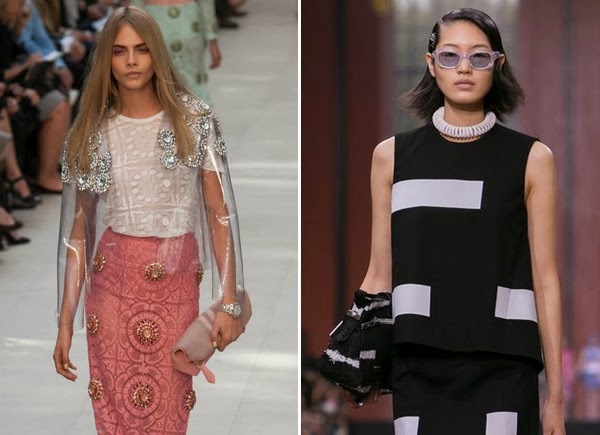 Add rhinestones to a clear vinyl poncho like Burberry. 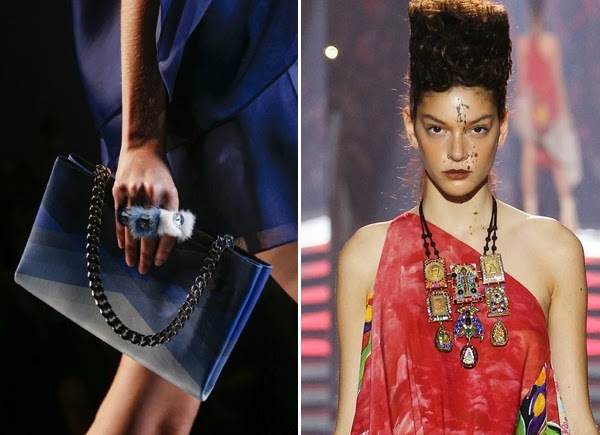 Or turn your old phone cord into a necklace like Kenzo. 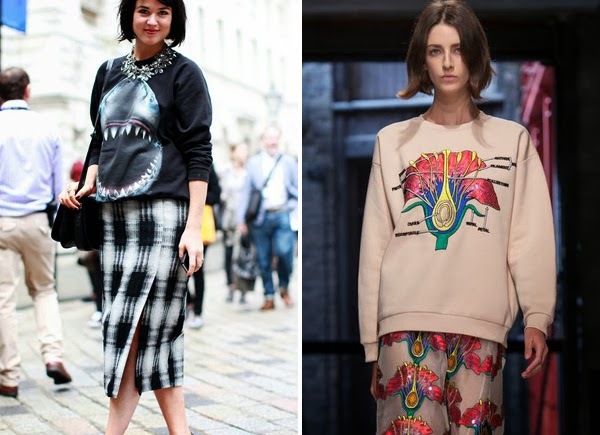 Make your iron-on transfer sweatshirt hip with sharks or botanical diagrams like Christopher Kane. Add scattered rhinestones or brooches to a dress or coat like Burberry. Add one bright feather like Thomas Tait. 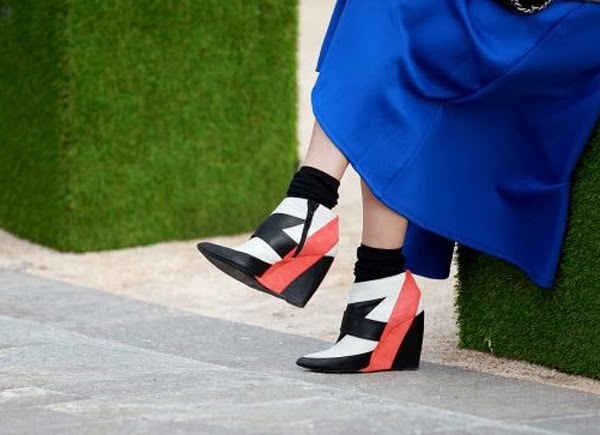 Paint your wedges with stripes. Make a skirt out of shiny vinyl like Dolce and Gabbana. (Or almost anything out of gold coins.) 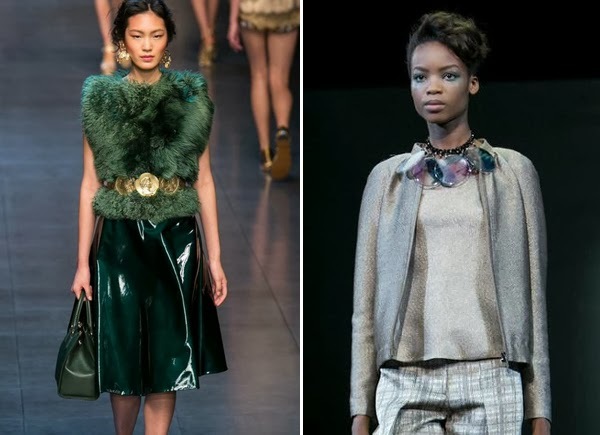 Use enormous beads like Armani. 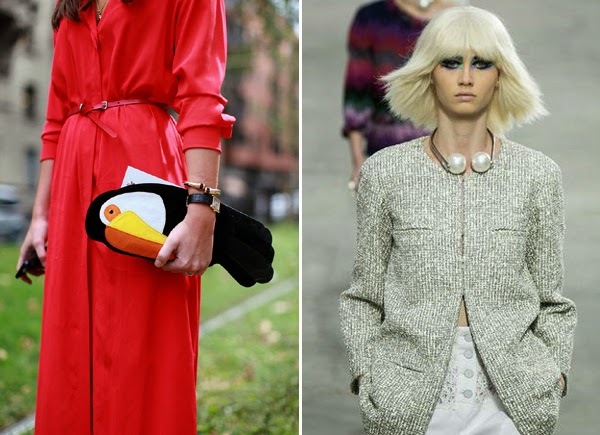 Make a toucan clutch. Add two huge beads to a collar necklace like Chanel. 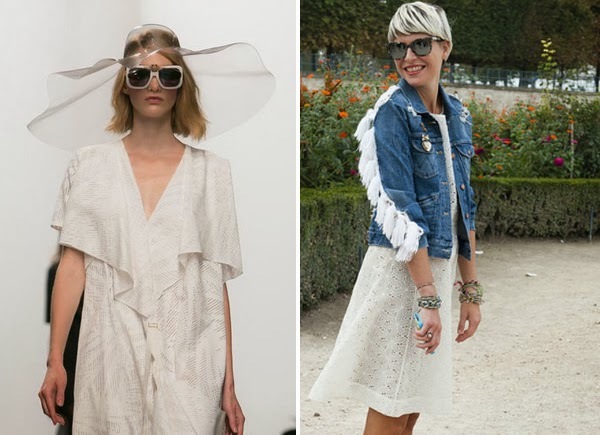 Try an asymmetrical cape. Paint a golden shoe on your plain black clutch. 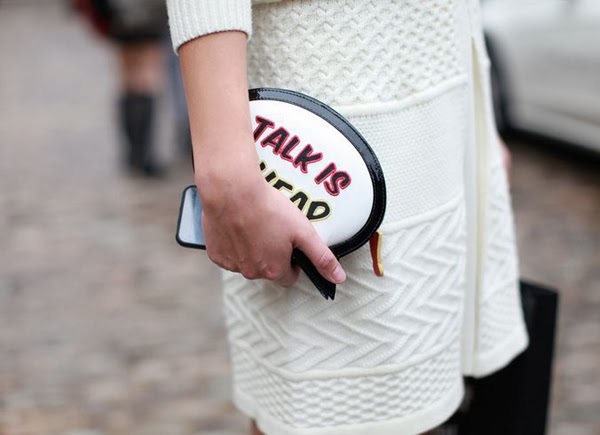 Make a clutch with a message. Use that spare clear vinyl to create a hat like Hussein Chalayan. Add fringe to your denim. Double wrap a chain and add a single pendant like Valentino. Forget the fanny pack. 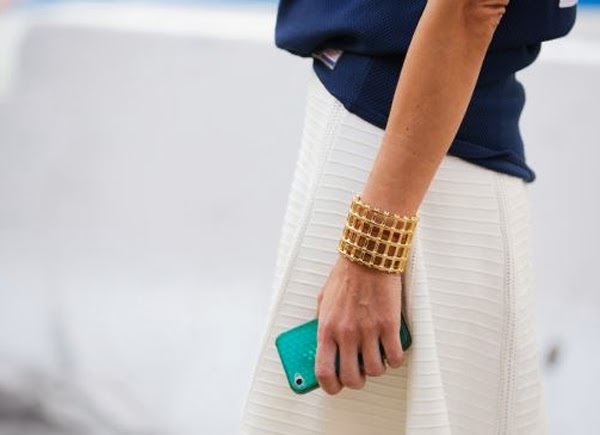 Attach your clutch to your forearm like Undercover. Make furry rings like Fendi. Or a fabulous necklace like Vivienne Westwood. Or make a kitty ring. And last but not least - in the category of You Could DIY This But Probably Shouldn't . . . The teddy bear hat and collar from Moschino. Have you seen anything at a fashion week you plan to try? 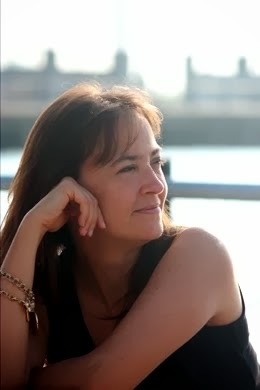 Tienes un blog original y lleno de inspiración. Gracias por compartirlo. Un saludo.